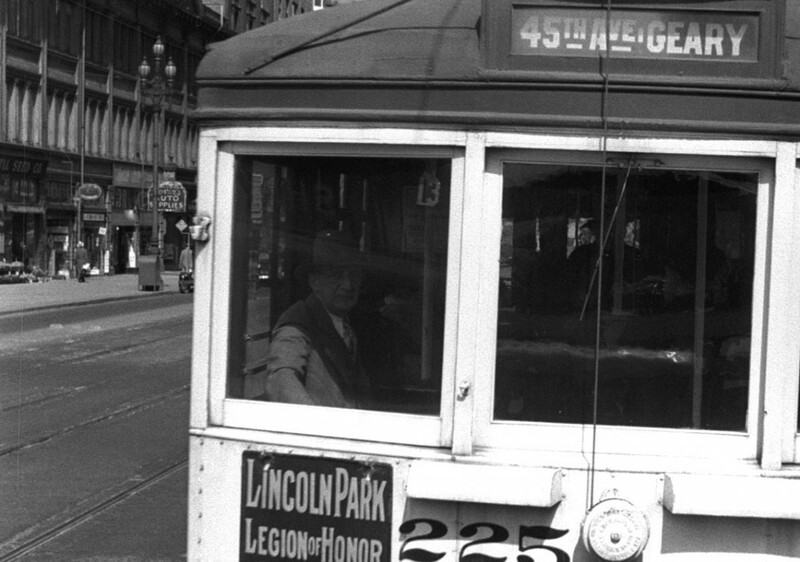 In December 02013 film archivist Rick Prelinger presented Lost Landscapes of San Francisco 8 for our Seminars About Long-term Thinking series. It’s been an annual tradition in our series since 02008. Click here to watch the full video. We do not publish audio podcasts for Lost Landscapes events because of their reliance on visuals. Rick’s film this time featured the China Clipper taking off from the water next to the World’s Fair on Treasure Island; another float plane hopping along the water from Oakland to San Francisco as a ferry; the now outlawed traditional downtown blizzard of calendar pages drifting down from highrise offices celebrating the last day of work every December; the dirt roads of Telegraph Hill leading to Julius’ Castle; one of the 80,000 Victory Gardens in the city during World War 2; the bay filled with war ships (no one was supposed to photograph them); a tourist promotion film lauding San Francisco’s “invigorating sea mists”; a drive down historic middle Market Street, with the audience crying out a landmark: There’s the Twitter Building! Video of the twelve most recent Long Now Seminars is free for all to view. 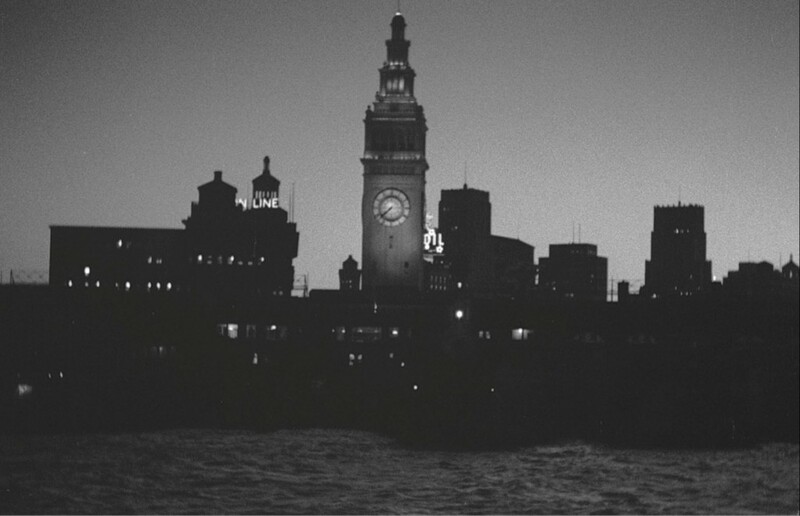 Lost Landscapes of San Francisco 8 is a recent SALT talk, free for public viewing until February 02014. The most recent 12 currently also includes Lost Landscapes of San Francisco 9 (from December 4, 02014). Long Now members can see all Seminar videos in HD including the five previous years of Rick’s “Lost Landscapes”. Rick Prelinger is an archivist and filmmaker based in San Francisco. 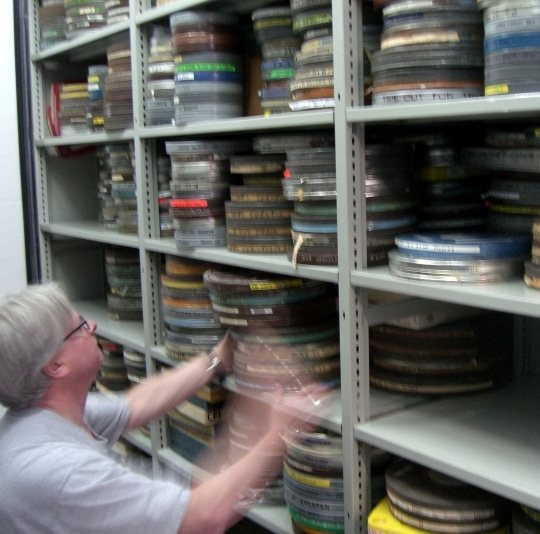 In 01983 Rick founded the Prelinger Archives which focus on home movies and industrial films. With his wife Megan Prelinger he runs The Prelinger Library in San Francisco: an independent research library with regular public hours. His film project No More Road Trips? is assembled from hundreds of home movies dating back to the 1920s. It has screened at the New York Film Festival and SXSW. Rick serves on the Board of The Internet Archive. Everyone can watch full video of the last 12 Long Now Seminars (including this video until February 02015). Long Now members can watch the full ten years of Seminars in HD. Membership levels start at $8/month and include lots of benefits.